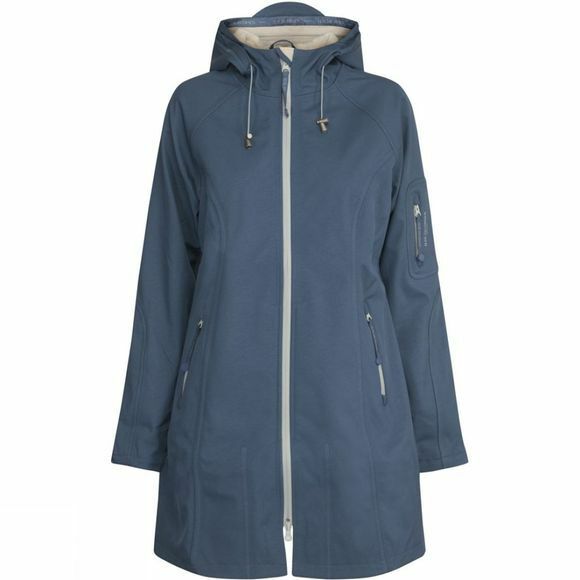 The Women's Rain37B 3/4 Raincoat by Ilse Jacobsen is a waterproof and breathable jacket suitable for everyday use in wet conditions. The Ecorepel coating and taped seams along with the long body length and adjustable, peaked hood means you can be confident you'll stay dry even when you get caught in the rain. Although overall the jacket has a comfortable, relaxed fit, the waist has been tailored for a feminine silhouette which flatters your figure. The 2-way front zip, dropped seams and rear split hem ensure the jacket is suitable for all activities allowing plenty of freedom to move as well as room for a cosy mid-layer underneath. This versatile jacket is topped off with three zip pockets to keep your essentials secure and dry. A beautiful, versatile coat which looks equally smart over workwear as it does with a jumper and jeans.